If you are looking for a luxury rocking horse you need to take a look at the Hermes Baby collection. It’s almost sad that we don’t fit on the horses ourselves anymore because they are absolutely stunning. 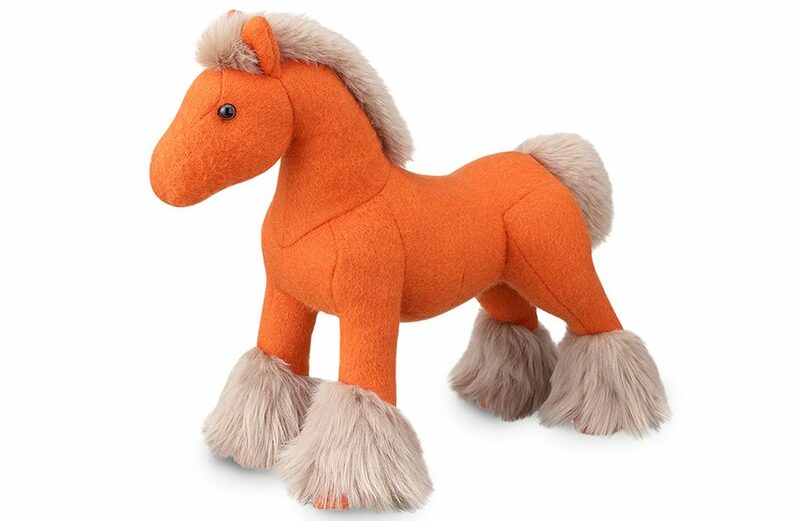 Hermy comes in 2 lovely colors and he is a stuffed horse in double-face cashmere and his mane is made from polyester. This guy ensures hours and hours of rocking fun. 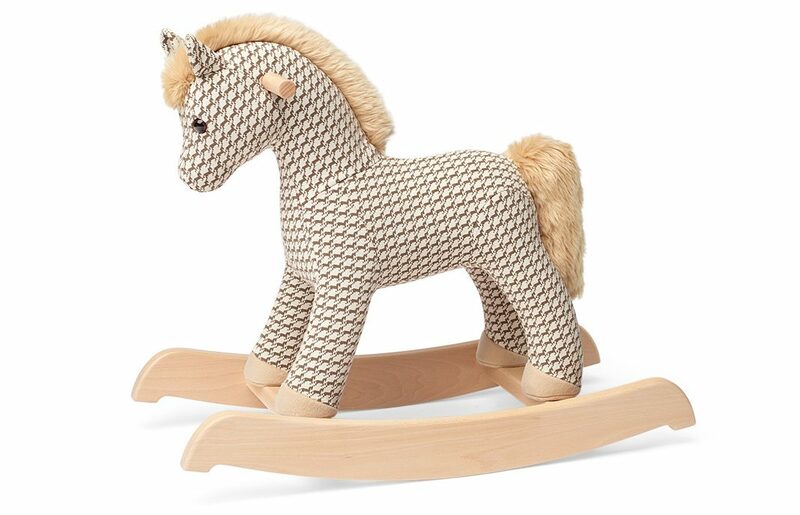 He is a Hermes rocking horse and comes in taupe printed cotton with acrylic mane, beechwood base and foam interior. Hermy will be your little one’s friend for life. 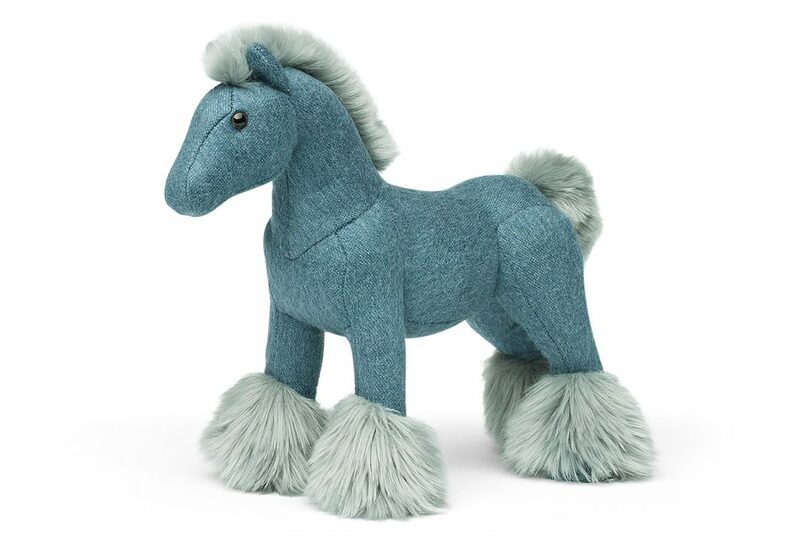 If you are searching for a smaller baby gift then Herpluch Cheval Pixel is your baby’s bestie. You can choose between a he (in baby blue) or a she (in baby pink). Herpluch is made out of 100% cotton and Dacron inside with bell stuffing.